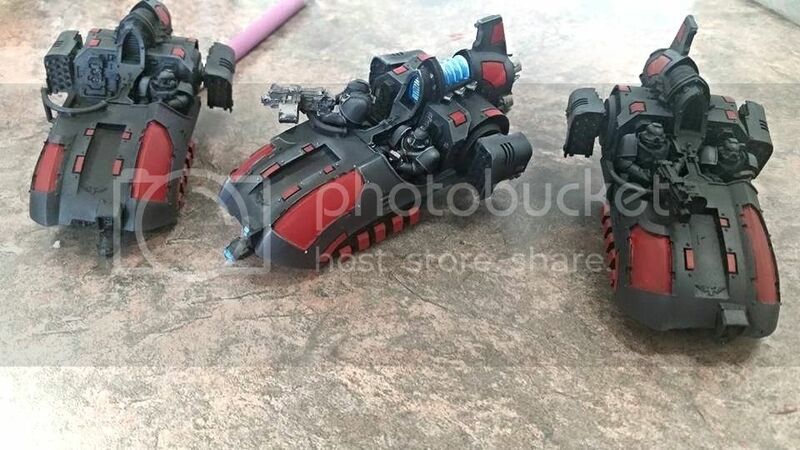 I just ordered 3 more Deimos pattern rhinos and the relic whirlwind. I think I might have a spending problem.. I think you might! Do you have the tactical squads that will be carried by these Rhinos? sort of. i have 2 in the mail right now but I have not got them yet. I really love the MK IV armour... I have 30 painted up with combi weapons but they are green so I can nit use them for 30k and be a purist. I am planning on making a whole chapter of dark angels. In so far as 40k is concerned, i have the models for the first and second companies but they are not all pointed in a uniform way. The 3 rd company is going to be 30k stuff. Nexus_Crawler wrote: I just ordered 3 more Deimos pattern rhinos and the relic whirlwind. I can't wait to see them then! I'm a big fan of the Mk IV armor as well. 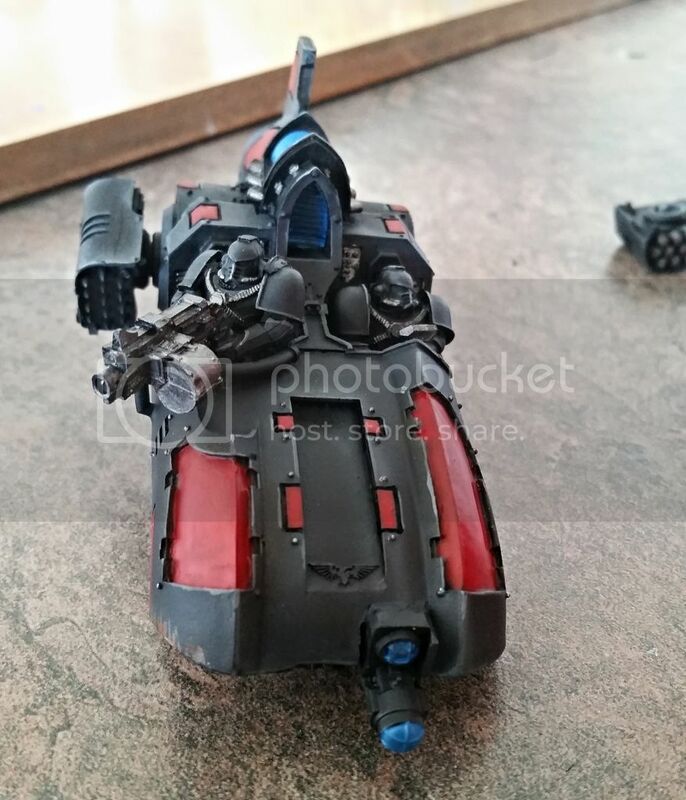 If I get to start my planned 30k Alpha Legion army, I think I will mostly make it a MK IV equiped force with some MK VI for elite units like veterans and maybe the Headhunters squad (special improved Alpha Legion's Seekers). The XXth Legion seemed to have a large access to the most modern weaponry including the Mk VI armor, so I think it would be fluffy. But first, I have to finish my Thousand Sons army. Originally my mk iv models are used as vets with my green wing. 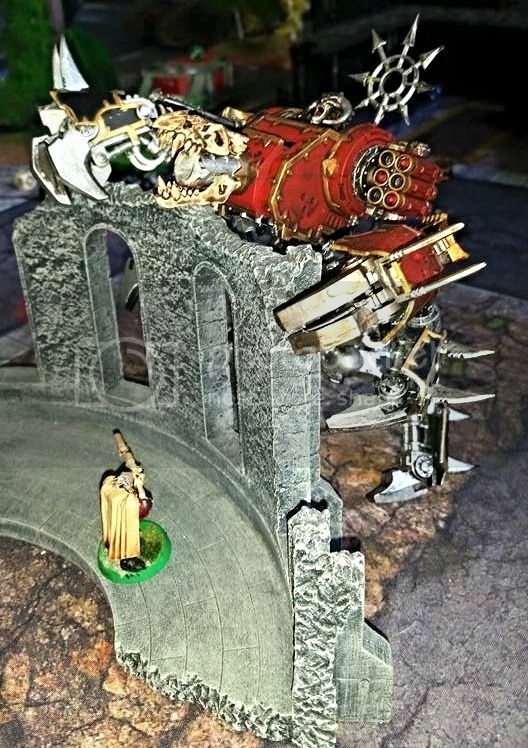 Iron Warriors are awesome, but if you already got Manus, maybe you should start with them yea. I think the Iron Warriors are my third favorite legion after the Thousand Sons and the Alpha Legion. Iron Hands are my favorite loyalists I think. the middle one is not done yet but I want to get the other 2 up to the same level. The new ones need a little bit more red and then I can start edge hilighting. It's looking good. They are already very beautiful.